The awareness has increased because of the tireless efforts of Chapman and Nickel and the group they started known as Just Moms St. Louis. The group is dedicated to removal of the radioactive waste from uranium processing that was carelessly dumped throughout our region, and especially in North County. 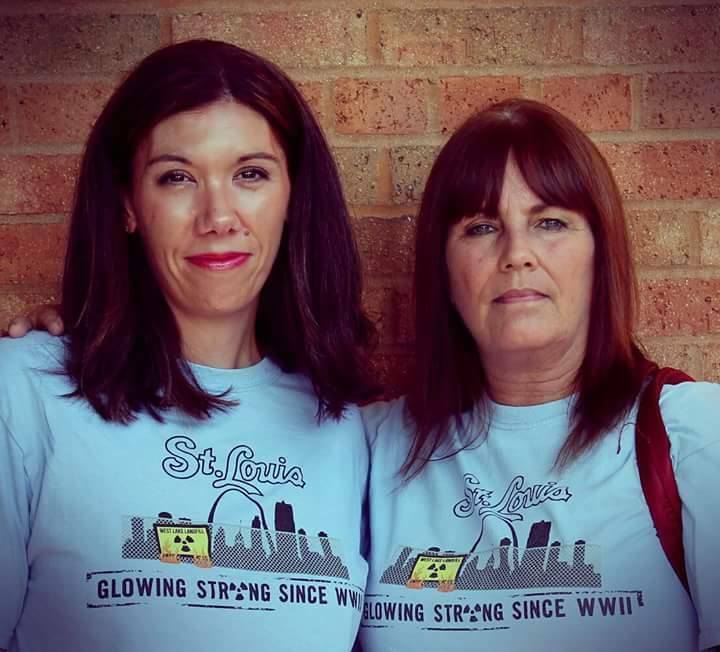 Our St. Louis nuclear problem has been the subject of several films, most recently in HBO’s “Atomic Homefront.” The moms’ group has helped with these films by providing information that they have on cancer clusters found in the vicinity of Coldwater Creek, a dumping area for the atomic waste products. Our South County Times columnist, Leslie Gibson McCarthy, wrote a moving column about the Coldwater Creek situation on March 2. She grew up in the area and has lost friends and relatives who lived by the creek and who died far too early – and the evidence pointing to why this happened just grows stronger. “If you think this is a North County story, it’s not,” McCarthy wrote. She is right. It’s a regional and a national issue. And America owes a debt to St. Louis – and the funding to clean up the mess left behind. It owes a debt to St. Louis for its role in an arms race that our enemies could have won to our peril. Just Moms has helped sensitize people – not just to the Coldwater Creek problems – but to the dangers of the West Lake landfill, where a persistent underground trash fire is creeping closer to an area of radioactive refuse. That time bomb caught the attention of EPA Administrator Scott Pruitt, who announced in February that EPA might do at least a partial cleanup. The evening that Chapman and Nickel received their award, they told me that they were soon leaving for Washington, D.C., to talk to Pruitt’s agency about the cleanup. However, they said they were worried that Pruitt and the agency may drop the ball. Washington is in disarray. Pruitt has been mentioned as a replacement for Jeff Sessions, if President Trump fires the Attorney General for not shielding him from the Mueller investigation. Pruitt has his own issues. Members of both parties are calling for his firing from EPA, because of luxury travel and sweetheart deals from energy lobbyists. And, meanwhile, the radioactive time bomb keeps ticking here in Atomic City. This entry was posted in Environment, Home and tagged Coldwater Creek, Dawn Chapman, Karen Nickel, Leslie Gibson McCarthy, St. Louis Radio Active Waste, West Lake Landfill, West Lake Landfill Fire. Bookmark the permalink.